Lasagna sheets stuffed with Ricotta cheese, our homemade sauce, and topped with Mozzarella. Our homemade meatballs smoothered in our homemade sauce. Our famous sausage with fried green peppers and onions,. 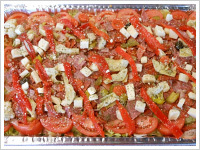 Layers of eggplant covered with Mozzarella and our homemade sauce. Potato wedges baked in olive oil & Italian seasoning. Plenty of imported pasta covered in homemade sauce , grated romano and fresh Mozzarella. 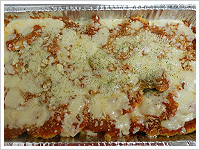 Fresh breaded chicken breast covered in our homemade tomato sauce topped with Mozzarella. Fresh chicken breast cooked to perfection in a homemade lemon sauce! 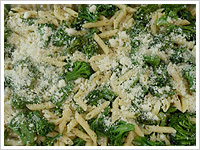 Penne pasta mixed with broccoli, olive oil, garlic and grated Romano. Fresh chicken breast sautéed with mushroom and onion in our Marsala sauce. If you have any special requests, we will be happy to accommodate you in the best way. We offer chaffing dishes and are available for parties. Full line of desserts. Call for selections & availability.